Run, walk or taper. This is your race! Corey Dakota - Rocks the finish Line! Photos of the Runfest course -All Paved! Register for the Weekend Warrior Runfest TM today! Additional race information can be found at http://www.weekendwarriorrunfest.com/. The Weekend Warrior Runfest is a Country Music themed race that takes place in scenic River Bends Park located in Shelby Township MI. 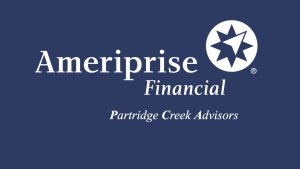 The race is sponsored by Ameriprise Financial and Visit East MI. Alcohol is allowed in the park for those over the age of 21 but will not be served by the event organizer. Tailgating with friends after the race is permitted as long as ALL park rules are followed. Bring your favorite beverage and celebrate after the race with local Country Music Artist. Weekend Warrior Runfest is the perfect race to enjoy Indian Summer in Michigan. Country music provide by Wyatt Hood and Eastside Willy. 13.1 Mile Half Marathon on the all new double loop course! 4 Hour time limit. Early packet pickup and late registration is available on Saturday October 6th, 2018 at the Burgess-Shadbush Nature Center from Noon-5:00pm. The Nature Center is located at: 4101 River Bends Drive, Shelby Twp. MI 48317 (Ryan Road Entrance). Timing services provided by Everal Race Management. Runners receive a short sleeve technical running shirt with a combination of the following color scheme - White, Texas Orange and Black, a custom participant medal and finish line snacks. Special Iron Belle Plaques are available for the top Male and Female winners in the following categories - Overall, Masters and Grand Masters. Runners will traverse the historic park grounds on a paved path the is part of Michigan's Iron Belle Trail. This historic park was once the horse ranch of the World Heavy Weight Boxing Champion Joe Louis and later became a NIKE Missile Base. Sections of the trail were also used by runaway slaves seeking freedom on the historic Underground Railroad. The Clinton River winds thru this park and over the years it has carved out some on the most scenic landscape in South East MI. The 10K and 13.1 Mile course is a must see and runs along side of the former Clinton-Kalamazoo Canal ! All runners will experience one bridge crossing over the river bend. All information contained on this website, including maps of the race course, are the property of Weekend Warrior LLC. (c) 2018 by Weekend Warrior LLC. All rights reserved.